Can your dog pass the AKC's Canine Good Citizen (CGC) Test? Earning the CGC award will ensure that your dog is a well-respected member of your community. The Canine Good Citizen award is one of the first AKC certificates your dog can own and CGC provides an excellent foundation for all other training. Some therapy dog groups require the CGC as a prerequisite for therapy work, there are CGC neighborhoods and hiking trails, and a number of state legislatures have endorsed the CGC concept. Providing a CGC certificate to prospective landlords has helped many people obtain living space with their dogs. 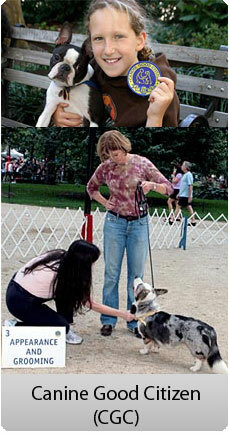 Canine Good Citizen Training is fun and useful. You'll find that training for the CGC award will help you establish a closer bond with your dog. Canine Good Citizen Now Becomes a Title! 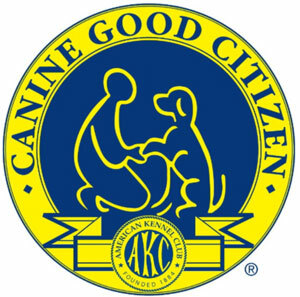 As of January 1, 2013, Canine Good Citizen® will become an official AKC title that can appear on the title records of dogs registered or listed with AKC. Dog owners who complete the CGC as a Title process may list the suffix "CGC" after the dog's name. Since the program began in 1989, CGC has been considered an "award," meaning that it has not been listed on a dog's title record. As a result of frequent, ongoing requests from dog owners and instructors for AKC to recognize CGC as a title, dog owners will have the option of having CGC added to their dog's title record and appear as a part of the dog's titled name. How can you get your dog get tested and obtain a CGC certificate from the AKC? 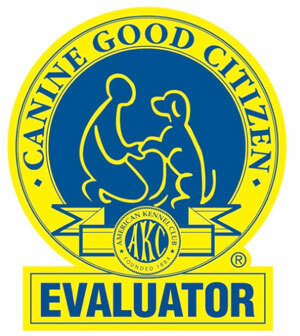 Nancy Creal, the owner and founder of MOVIN' ON UP K9 TRAINING, is a AKC certified evaluator and can test your dog for CGC compliance.